Mirrorless cameras have become incredibly popular these days, saving a lot of users from the size and weight of bigger SLR systems out there. As consumers make that switch, they often want to bring their current lenses along for the ride. Thanks to shorter flange distances, this is physically possible, but in practice, it’s not as simple. Because of that, it felt necessary to explain the differences, the challenges, and what you might not know when going into a new system when a handful of adapters. Let’s break down the most popular options out there that we carry. To start, we’re mainly talking about the following three camera systems that make adapting easier than the others: Sony E/FE mount, Micro 4/3s (Olympus and Panasonic), and Fuji X mount. Lenses from Canon, Nikon, Leica, and Sony’s SLT lineup, as well as third party lenses in those mounts, are all able to be adapted, with some degree of success. 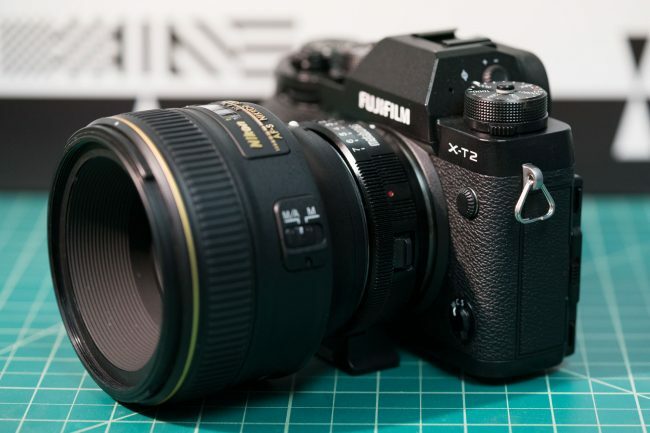 Let’s start with the simplest, Fuji X mount adapters. We currently only carry two adapters, one for Nikon lenses and the other for Leica M mount lenses: The Metabones Nikon G to Fuji X Speed Booster Ultra Adapter, and the Fuji M-mount Adapter for X-mount camera by Fujifilm. Both of these are mechanical adapters, meaning there are no electronic connections for things like autofocus and stabilization. When using Nikon lenses on the Metabones Speed Booster, the aperture is controlled by a ring built into the adapter, but precise aperture demarcation is unavailable. Manual focus and manual aperture control can be used with any Nikon lenses except the newest E series lenses that have electronic apertures. We currently know of no adapter for Fuji that will give aperture control with those lenses, so be sure to keep that in mind when looking through the Nikon E series lenses. One upside to using the Metabones Speed Booster is that the optical elements in the adapter both reduce the focal length and increase the aperture. The focal length reduction counters the crop factor of the APS-C sized Fuji sensors so that a 50mm lens looks more like what you’d be used to when using it on a full frame camera. But since it’s a focal reducer, the Speed Booster can’t be used with DX lenses. You’ll have to stick to full frame lenses. The X mount to Leica M mount adapter is even simpler. It’s just a piece of metal of the right thickness. All M mount lenses will work with this adapter but do keep in mind that all Fuji mirrorless cameras have APS-C size sensors. If you’re looking for full frame equivalence, remember to apply the 1.5x crop factor to your focal length. Continuing in reverse order, we have several micro 4/3s adapters, for Canon, Nikon, PL mount, and M mount lenses. Like Fuji above, the Nikon options are mechanical only, so the same caveats apply here. We have two options: the Novoflex Nikon G to Micro 4/3 Adapter, and Metabones Nikon G to Micro 4/3 Speed Booster XL Adapter. The first, by Novoflex, is just a basic adapter, so remember to account for the 2x crop factor when trying to find full frame equivalents. Since the Novoflex adapter has no optics in it, you can use FX and DX lenses with it. Both will cover the smaller micro 4/3s system, no problem. The Metabones we carry is the Speed Booster XL, which has a .64x focal length reduction, meaning a 1.28x crop factor for stills, and 1.5x crop factor for 4k video. With all of the Metabones adapters we carry, you’ll want to make sure they’ll fit your particular micro 4/3s camera since some of them only work with specific models. Metabones has gotten better about compatibility issues like that as they continue to put out new versions of their adapters, but there is still quite a bit of segmentation in their adapter lineup. With both of these, you have manual aperture and focus control. For Canon, there are only two great options, both from Metabones: the Metabones Canon EF to Micro 4/3 Speed Booster T Ultra and Metabones Canon EF to Micro 4/3 Speed Booster XL Adapter. They function about the same, the only difference being how much they reduce the focal length of the attached lens. The Metabones Ultra is .71x, and the Metabones XL is .64x. 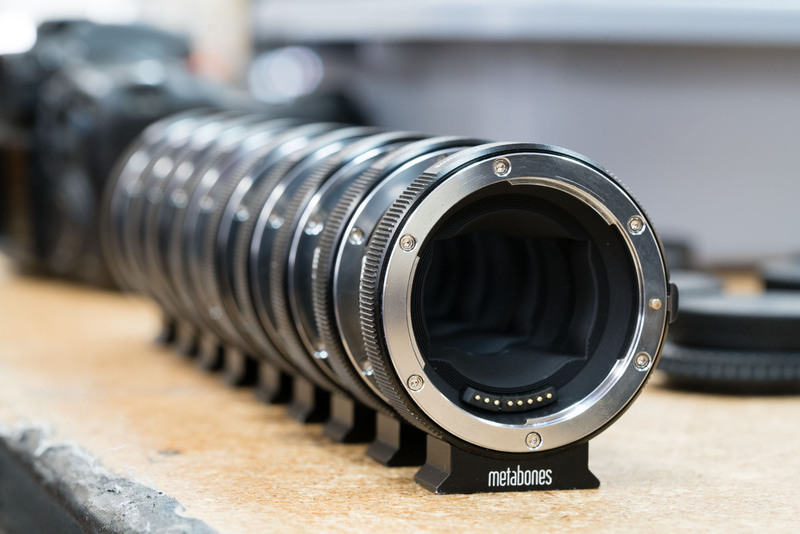 Metabones has seen fit to make their adapters firmware upgradable, and they’ve also managed to figure out how to make Canon lenses autofocus really well on micro 4/3s cameras. As firmware updates are released, performance with these adapters gets better and better. With better AF systems in newer m4/3s bodies, EF lenses are just about as snappy as they are on native Canon bodies. So if something seems wonky, check the firmware first. And that brings us to Sony. Oh Sony, you are the king of adapters. While there are the standard dummy adapters for Nikon, PL, and M mount, there are also a couple of outliers for Nikon and M mount: the Vello Select Nikon F to Sony E Auto Lens Adapter (LAE-SE-NF) and TechArt PRO Leica M Mount to Sony E-Mount Autofocus Adapter. The Vello adapter promises AF and aperture control with certain AF-S Nikon lenses on certain late generation Sony bodies. They have a short list of lenses and bodies that work, which you’ll want to check on their website. I wish I could say this adapter works great, but it’s pretty hit or miss. The firmware can be updated, so it’s always possible for things to be better. But for now it works sometimes, and that’s the best it’s going to do. Don’t expect this to work on your high end paid shoot. The TechArt adapter, however, is something of a marvel, at least on the right camera. It’s currently only recommended for use with the Sony a7II and Sony a7RII, both of which have phase detection autofocus. The latest firmware update for it has improved stability and performance. And did I mention it turns manual focus lenses into autofocus lenses? IT DOES! And by adjusting the manual focus on the lens, you can change the close focus. It’s a win/win. If you don’t want autofocus, there are a couple of plain M mount adapters, one of which has a focusing helicoid built in to allow for closer minimum focus: Voigtlander Leica M to Sony E Adapter and Voigtlander VM-E Close Focus Adapter for Leica M to Sony E.
For Nikon, there are the standard Metabones adapters, which the only thing to be careful of there is to avoid using Speed Boosters on full-frame Sony bodies. Speed Boosters are only meant to cover APS-C sensors. 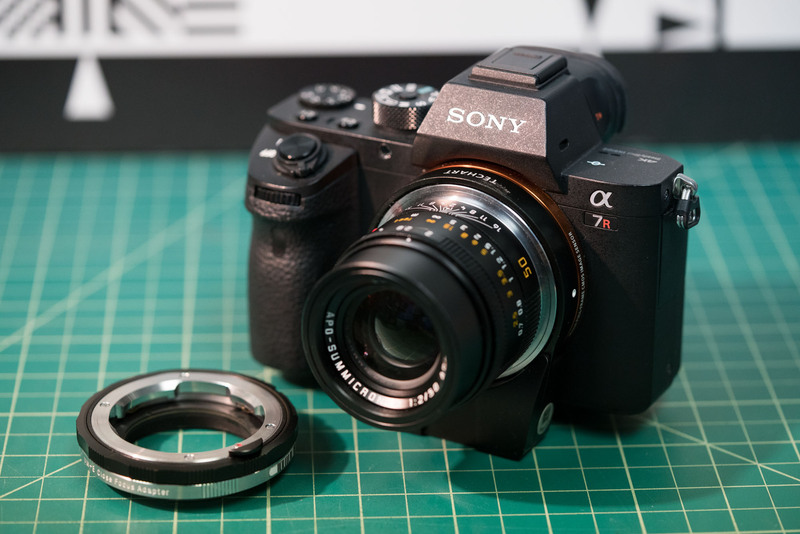 Since Sony also makes A mount lenses, it makes sense that they have their own adapters for using them on E-mount cameras: the Sony A-Mount Lens to E-Mount Adapter (LAEA3) and Sony A-Mount Lens to E-Mount Adapter (LAEA4). Both of these provide full frame coverage with full frame A mount lenses. The main difference is that the LA-EA3 relies on the camera’s AF system to control the lens, and the LA-EA4 has its own AF module, very similar to the a99 AF module. The LA-EA4 also has its own focus motor, so all A-mount lenses will work on it. The LA-EA3 is best used on PDAF cameras like the full frame Sony a7II and Sony a7RII, and crop frame Sony a6000, a6300, and a6500, with SSM lenses. For all others, stick to the LA-EA4. We can’t recommend this product for professional work. We reached this decision after Lensrentals folks and rental clients experienced repeated failures in the field. Though it might work much of the time, it’s our opinion that this product’s performance is too unpredictable to be trusted on high-value projects. Use for casual testing or try-before-you-buy purposes only. If you have any questions, please contact us. And the Sigma MC-11 is really only reliable with Sigma Art/Contemporary/Sports lenses. Alas, here are the latest available options for Canon systems: The Sigma MC-11 Adapter, the Metabones Canon EF Lens to Sony E Mount T Smart Adapter IV, and the Metabones Canon EF to Sony E Speed Booster T Ultra Adapter. With lens and adapter mounted to the camera and with the camera powered off, press and hold the button on the side of the adapter. With the button pressed and held, power on the camera and allow it to boot up fully. While still holding the button, turn the camera off. Release the button and turn the camera back on. This switches the mode of the Metabones adapter. Sometimes that does the trick. Sometimes you have to do this a couple of times to get things working. Sometimes it never works. Sometimes you just want to take the adapter off and throw it across the room. The Sigma MC-11 works much better, as long as you’re using the latest generation Sigma lenses. I think the reason is pretty obvious why this adapter works better than the Metabones adapter with any EF lens. This is a Sigma adapter talking to Sigma lenses and only having to interpret Sony commands, whereas the Metabones is a third party trying to translate between at least two other companies. Something always gets lost in the translation. Does the MC-11 work with Canon lenses? Not officially, and not without some instability, so use it at your own risk. Got a full set of Sigma Art primes? You’re in luck! You’ll have fewer issues—still won’t be issue free. As always, it’s best to use native lenses whenever possible. One day, when mirrorless camera manufacturers have fully rounded out their lens lineups (I’m looking at you, Sony), these adapters will be less and less necessary. The Sigma MC-11 works a treat with my shelf full of Canon glass including most of the 2.8 primes and a Magic Drainpipe black (first edition) 80mm to 200mm, as well as a EF-S 10mm to 22mm. This adapter alone is one of the best reasons to pick up a Sony mirrorless body for a Canon shooter. Autofocus is fast and reliable. Even eye autofocus usually works. A correction…the la4 sony adapter uses the A65 focus module, not the 99 (they are very different, the 99 shares the module of the 1st generation 77 with added pdaf helper on sensor sites). From everything I’ve read, Leica M lenses (at least the wide-angle ones) actually do worse on FF Sony E-mount than SLR lenses do; LensRentals did at one point make a post showing the problem with various M-mount lenses. 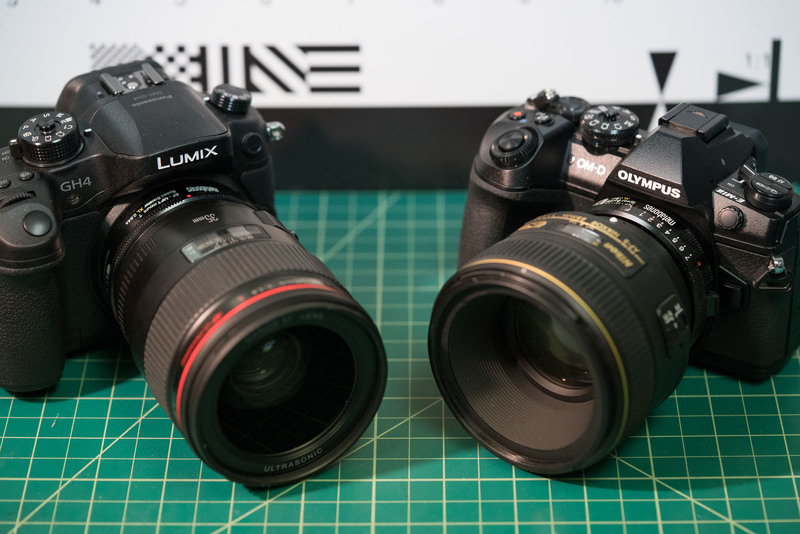 Here’s my understanding of it: In general, wide-angle SLR lenses need retrofocus designs due to their longer flange focal distance, which brings the light rays to the sensor at an angle closer to perpendicular, which is best for digital sensors. Wide-angle M-mount lenses generally do not have this restriction, allowing them to be much smaller and lighter but also allowing the light to hit the sensor at much shallower angles in the corners than Sony had designed their sensor stacks for, causing vignetting and color shifts. If I remember correctly, Leica’s own M-mount cameras are specifically designed to correct for such problems (I don’t know whether it’s in the sensor stack itself or in post). But they already do. Sony’s LA-EA3 and LA-EA4 were mentioned specifically in the article, Canon has a fully functional adapter for EF to EF-M, and I know Nikon has an adapter of some sort for F to Nikon 1 (not sure if it supports screwdrive AF like the LA-EA4). Why don’t Mirrorless camera manufactures like Canon, Nikon and Sony make adapters for the SLR lens that they manufacture? This to me at least seems like an easy win-win for them. They makers of third party lens (Sigma and co) are already making adapter. It would be great if Roger could publish MTF using state of the art bench tests once again showing the adverse impact on lens performance from using it with an adapter to mirrorless mount. I fear it isn’t going to be pretty. My prediction is that the bigger the disparity in mount design the worse the impact. So adapting a DSLR lens to Sony EF mount is worse than Leica M rangefinder mount to EF mount. Rangefinders are also mirrorless because they have no mirror box in their optical pathway and have much shorter flange distances compared to DSLR mounts. 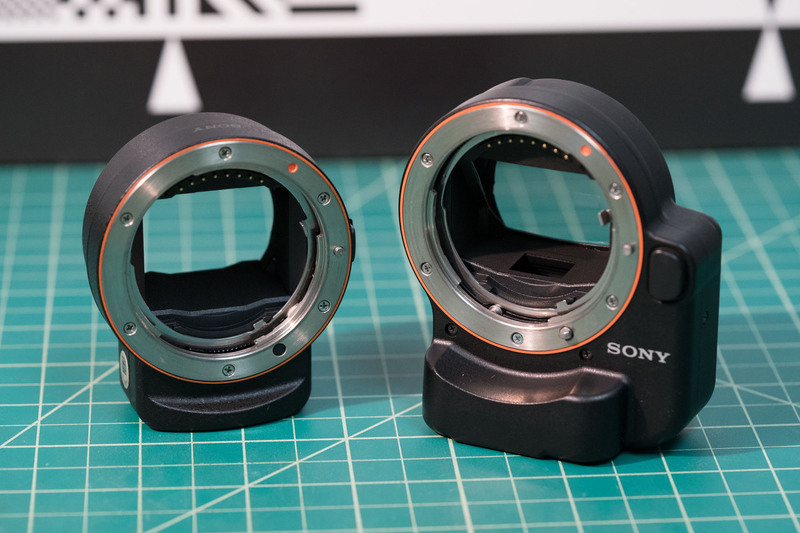 This would explain why the Sony engineers aren’t that keen on encouraging the adaptation of A mount lenses to E mount because of the severe performance degradation you get from the disparity. It can, the adapter was released also with the camera in mind. 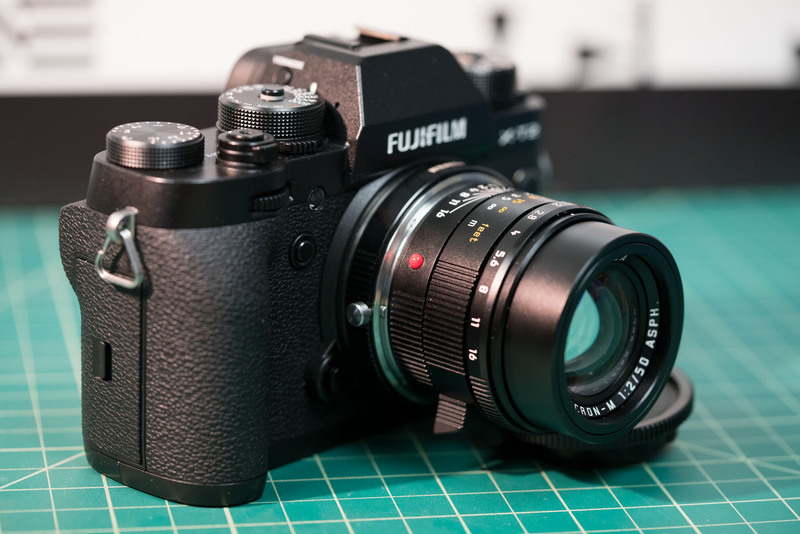 A FW update improved the performance of the A6000 with EA3 noticeably. No difference in my experience. I own the MC-11 (I got it steeply discounted in a bundle with a lens), and I’ve rented the Metabones a few times. The thing to realize about those adapters is that from an optical point of view they’re simply spacers. As such they only impact sharpness if they’re tilted, of incorrect thickness, or if they cause vignetting. I shot an ISO12233 chart with both using a range of lenses including the Sigma 35/1.4 and the Canon 16-35/2.8 III, and I couldn’t detect any significant difference between the two, or any significant difference relative to the same lenses on Canon bodies. Obviously sample variation comes into play here, so my experience is no guarantee. The Speedboosters however *do* impact image quality and particularly corner quality. The degree of impact depends on the lens. As a couple extreme examples, the Canon 17-40 improves in the corners with the speedbooster, while the Sigma 35/1.4 becomes notably soft in the corners. It isn’t a simple matter of aperture, though, because the Canon 50/1.4 does much better than the Sigma 35 on the speedbooster. There is no free lunch, as they say. My Fotodiox EF-NEX Fusion Pro works great on my A7II in AF-S. I probably wouldn’t recommend it for professional work either, but for civilian stuff like vacations and personal events it’s awesome. 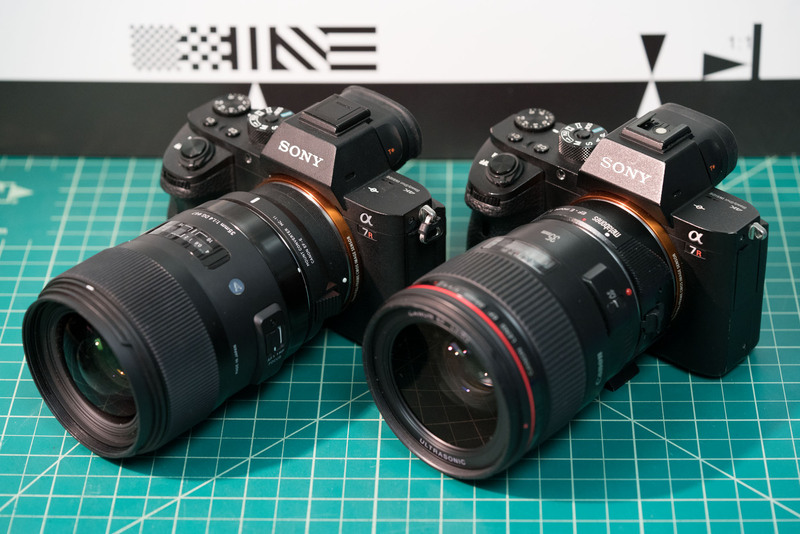 Sony – EF mount , which one is better in term of corner sharpness in ultra wide angle lens between MC-11 and Metabones IV ? Fuji use “regular” (made by Sony) 1.5x crop factor APS-C sensors (not the smaller “Canon APS-C” 1.6x sensors). I’ve rented Metabones EF-E adapters and speed boosters from LR on 3 occasions for A7RII and 6500 bodies, and my experience was very positive provided I stuck to the “adapted” (non-native) mode. The only gitch I saw the entire time in native mode was that FW0.55 miscategorized my TS-E 24 II as an APS-C lens causing the body to crop, but that was easily fixed by downgrading to FW0.53. Other than that it works well provided that you understand and work around the limitations of the on-sensor PDAF systems on these bodies (sensitive only to vertical lines, marginal performance at small apertures, etc). The Metabones adapter’s “native” mode, wherein the adapter represents itself to the body as a Sony E-mount lens, is painful to use. My ring-USM lenses loudly clicked and clacked as the body tried to make them do the “CDAF dance”, and they didn’t always land in the right place. The problem here is that even PDAF-capable bodies like the A7r II use CDAF with native lenses a significant percentage of the time due to the aforementioned limitations of Sony’s on-sensor PDAF scheme. IMO native mode only makes sense with linear-drive, STM, and nano-USM lenses. I suspect that’s why the Sony 70-200/2.8 ended up with dual ring-USM + linear AF drives: They need the higher torque of the ring-USM for acceptable coarse focus performance, but the linear drive for the small high-frequency moves associated with CDAF fine focusing. I think there were 1-2 FW releases wherein “native” mode was the default for the metabones adapters, which was a huge blunder on Metabones’ part. If I’d tried to use one of those I would probably have a VERY negative impression of the adapter. On a related note, I also think that it’s not a good idea to be a beta tester for their latest FW. See comments about FW 0.55 and 24 TS-E above. Finally, Sigma has greatly improved compatibility of the MC11 with non-Sigma lenses over the last couple FW releases. It works with most of my Canon lenses at this point.